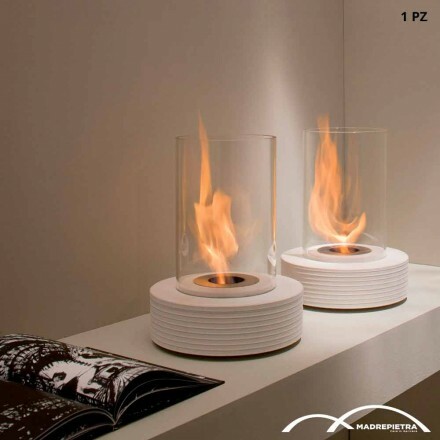 This part of our catalog collects the selection of tabletop fireplaces signed by Viadurini Fuoco Collection. Practical, functional and beautiful, the biotenal fireplaces can be placed on the table in the center of the living room, on the desk of the study or on the chest of drawers in the bedroom, to recreate a charming and welcoming atmosphere. 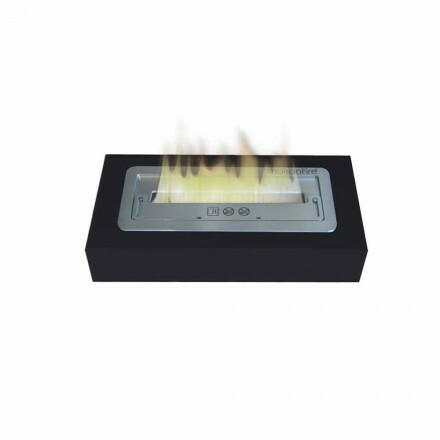 Among our proposals stand out the cylindrical table fireplaces with marble or stainless steel and ceramic base with glass that protects the flame. Simple and sinuous lines to give a touch of elegance to your living area. For those who prefer a more original table fireplace, we propose metal fireplaces with carvings in the white or chocolate metal structure. Choose the shape that best suits your home decor, rectangular glass or round made of white painted metal, the materials are all high quality and each product represents the best of Italian design. Write to us or call us for a personalized quote. Our staff will be happy to help you and answer your questions about the products.